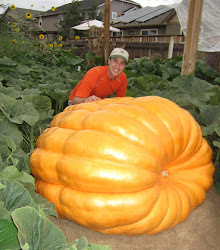 Are you the wife or significant other of a giant pumpkin grower? Or do you have a wife who understands that you love pumpkin growing but she finds herself feeling a little lonely during the growing season? Do we have the shirt for you: The Pumpkin Widow shirt! Perfect to wear to the next weigh-off or for Halloween, the Pumpkin Widow shirt can be worn proudly by those who are "widows" during the pumpkin growing season. Order Your Shirt Today!